At their regular meeting on March 19, 2019, the Board of Education of Community High School District 94 approved the hiring of Principal Dr. Moses Cheng as the next superintendent. Cheng will assume the District’s highest leadership position effective July 1, 2019. 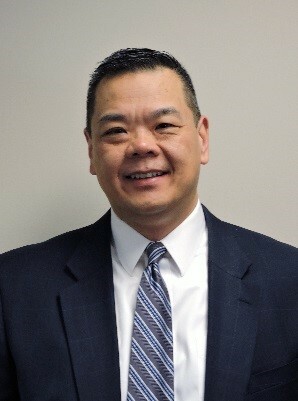 Cheng has been with Community High School District 94 since July, 2007, serving as principal of West Chicago Community High School. He holds a Bachelor of Science in Kinesiology from University of Illinois Urbana/Champaign, and Master of Arts in Education Leadership and Doctor of Education, both from Aurora University. Cheng began his career in education in 1993 at West Aurora High School in West Aurora School District 129 as a Science teacher and head volleyball coach. He was promoted to dean of students in 1998, and six months later was hired as principal of Schneider Elementary School, also in District 129, where he worked for 7 years. From 2005-2007, he served as assistant principal at Hinsdale South High School before coming to West Chicago. During the 2015-2016 school year while serving as principal of West Chicago Community High School, Cheng was named DuPage County High School Principal of the Year by the Illinois Principals Association. Cheng lives in North Aurora with his wife and four children. A community reception is being planned.